One of the wondrous things about WOVEMBER is how much WOOL information comes through in your comments. A few years ago several remarks on this post informed me that a Bellwether is a castrated ram that wears a bell around its neck and leads the rest of the flock about. The bell enables the shepherd to locate the flock by listening for the lovely tinkling sound. 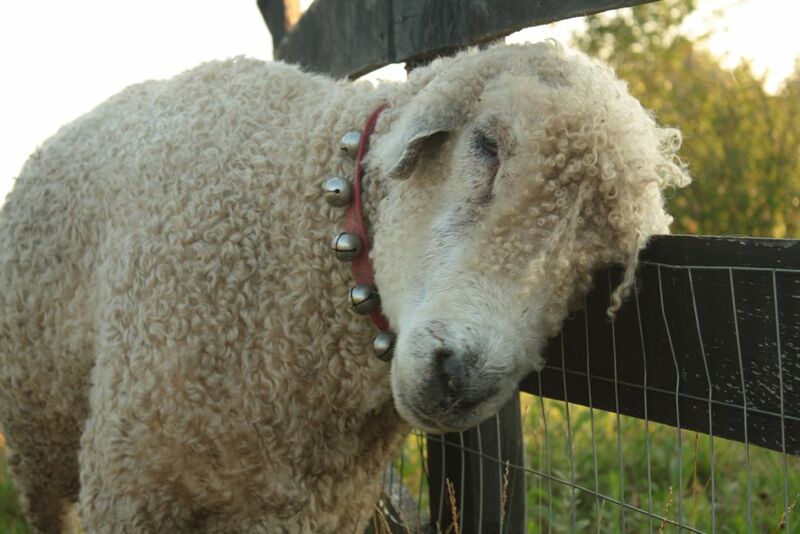 As discussed earlier this WOVEMBER, sheep bells and bellwethers are no longer used on most British sheep farms. However a wonderful little article produced in 1938 recalls that they were once a common sound on Dartmoor, relating the wonderful sounds of the shepherding and the growth of wool more broadly to the author’s sense of place. In my younger days I sometimes heard the sheep bell on Dartmoor; it may not yet be silent, but I do not meet it in my wanderings. I might probably have borne the loss in silence, letting it pass without record, as so much passes and is lost to-day. But I heard from the late Mr. J. E. Giles, of Walkhampton, the tale of one particular bell. And I remembered that Edward Worth, who died in 1756, married in 1711, Joan Giles of Walkhampton. Joan died young, and my great grandfather had also died when the story began. It was put in use, and went to Moor; then followed a long gap in the record. 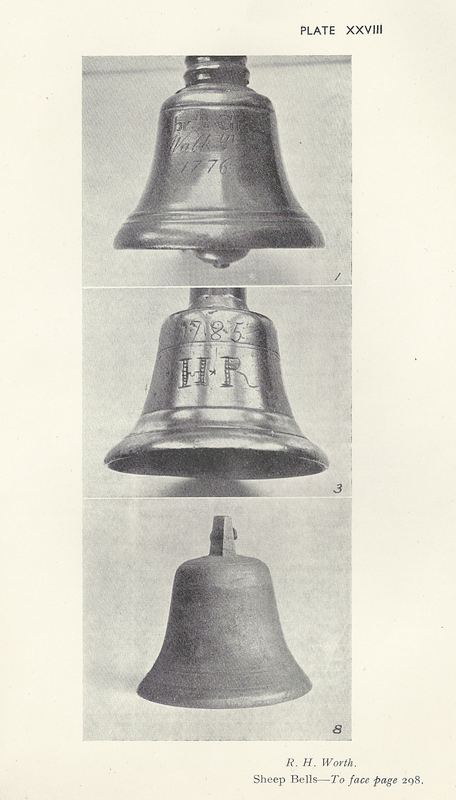 The bell was certainly lost, since it was picked up on the Moors, some twenty years ago, and brought to Mr. J. E. Giles, who had a handle fitted to it, and converted it into a table bell. …Sheep bells may seem a trivial subject, but not to those in whose memories they yet ring; they were a part of that countryside which has suffered so much change, and is still changing, to our sorrow.